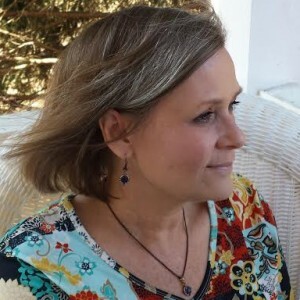 Perhaps a late bloomer, Becky Black Powell started writing books after a career as a lawyer and nine years of homeschooling her son. She is the author of the Max Williams Adventures Series. The series features Max Williams, a super smart quirky kid who wants to work for the CIA, and his crack team of spies-in-training. Max uses his Aikido skills to help solve mysteries, and depends on his seventy-year old sensei, Mrs. W, for advice. Mother to a college-aged son who is a gifted Aikidoka, Powell was inspired by the tremendous positive impact his training brought to the entire family. One goal of the Max Williams books is to give back to the Aikido community by spreading the word about this beautiful martial art. Powell lives in rural Tennessee with her husband, two dogs – Angel, a Jack Russell Terrier, and Scout, a mixed-Lab – and a pond full of koi. When she’s not writing, she enjoys reading, binge watching on Netflix, and being outside with her dogs. She is currently working on a novel for grown-ups, The Magdalene Controversy. I think my love of reading inspired me to write. I wanted to be able to move people with words the same way I was moved by the books I read. Books shaped and molded me. You can learn a lot about me from the books on my bookshelf. I have always wanted to be a writer, but never felt good enough. After practicing as an attorney and homeschooling my son for nine years, I gained confidence and decided to dedicate myself to writing full time. It’s the best thing I’ve ever done, though being an independent author has it’s own challenges that have little to do with actual writing. I consider myself to still be learning my craft and hope to always be in a state of development. My inspiration for the Max Williams adventure series was my son. I asked him once what made him the person he’d become. I think I hoped his answer would be my wonderful teaching abilities. But, his answer was that his aikido training contributed the most to his development. The people he’s met through aikido and the skills and principles he’s learned are woven through his entire life – the way he thinks, the way he solves problems, the way he learns, the way he interacts with other people. Aikido is a wonderful activity that allows one to built confidence, but not at anyone else’s expense. It is important to me to share that with other people. My first piece of fan mail was from another young aikidoka who a similar experience with his training. We’ve remained friends and he’s shared with me some of his exciting writing. In one of the most gratifying reviews I’ve ever gotten, one reader wrote that the book had inspired her child to explore Aikido. Those are the kinds of things that inspire me. I participated in NaNoWriMo two years ago just to experiment with the process of writing very fast. The month went well and the result was the first book in the Max Williams Adventure Series, My Neighbor, the Spy. For these books, I form an idea in my head of the main thing that I want to happen in the story. Then, before I begin writing, I do a scene by scene outline. I have this big presentation board, and I draw little stick-figure drawings of the action in the scene and tape them to the board so that I have a visual cue. When I sit down to write the first draft, I have a path to follow and I can write very fast to get the entire story on paper. I find it’s easier to get a bad idea down on paper and fix it later than it is to wait until the perfect idea pops into my head before writing it down. I spend a great deal of time doing rewrites. When I read my first draft, I can easily see where the story has problems or holes and weak spots. The first revisions deal with those issues, then later revisions deal with polishing the writing and adding depth to the characters. I keep a notebook with character names and descriptions and research notes that I can refer to as I’m working, too. I will probably continue to experiment with different techniques. After all, I wouldn’t have thought writing fast would work for me if I hadn’t just jumped in and tried. I can generally hear my characters’ voices in my head, even if I’m not writing about them in first person. Max’s voice is particularly strong to me. I know that until I can clearly hear a character explaining themselves to me, that character is not ready to be written about. There may be times when I need for a character to do something to make the story work out the way I want. But, most of the time, the characters react and respond the way they would if they were real. I’m working on a book now where I have two particular characters – one male and one female – who are still competing in my head for main character. Sometimes, I hear the woman telling the story, and sometimes the man. My books are probably more character driven than action driven because that’s the kind of story I enjoy reading. I like to think about what motivates a person to do what they do and think what they think. That’s what I hear my characters talking about. I don’t answer back. I just write. The best advice I could give other writers is to treat writing like any other job. You have to show up every day, even when you don’t feel like it. You have to write every day, even if what you’re writing is terrible. It takes focus and persistence to take your innate creativity and channel it into something productive. If I were to say “don’t ever give up” that is what I would mean. Make writing the defining act of your life. Also helpful: get over your fear of letting others read your writing. For a short time, I made small collages and sold them on Etsy, something way outside my comfort zone. I was not a good collage artist, but somehow it didn’t matter to me because it was so much fun. I was expressed myself with no real concern for technique and the world didn’t fall apart. I think that experience helped me get over my fear of feedback. Now, I get a little anxious when people read my work, but I am eager for the feedback because I know that it makes my finished product stronger. My final piece of advice may be the most important. Writers read. Make time every day to read other writers. You’ll find inspiration, motivation, and education in everything you read. Notice what you like and don’t like about what you read and use those observations to improve your own writing. In an objective sense, I’m not that old. But for a writer, being 55 isn’t an advantage. I chose to self-publish because I started writing full time late in my life. I wanted to publish a book, and I knew it might take months or years to find a traditional publisher. That was, of course, before I understood how difficult it is to market your own books. I can certainly see the value of having a publisher handle that aspect of things for you. And, there is still a certain stigma to self-publishing which is probably deserved. I try to be fastidious about editing and proofreading and get outside help with those tasks because as a self-published author, I think I have to be better than just good to make up for that stigma. I think this is a personal decision for each writer based on their goals and their needs. For me, self-publishing made sense for where I am in my life right now. I’m very conflicted about the future of book publishing. I read the doom and gloom news and it makes me sad. I don’t think people are any less moved and enchanted with books than they have been in the past. Storytelling has always been an integral part of our lives. I love the way self-publishing has opened up an opportunity for more authors to be heard. But there is an awful lot of really bad stuff out there and I think that hurts us all. I know that book publishing is a big business, but books are more than just commodities.